I’ll be in Toulouse, France June 12 – 14 learning about how to leverage new and developing technologies with Eclipse, like IoT, data analytics, cloud services, light-weight web browser editors, and more. I’ll also hear directly from the Eclipse Foundation about the 30 year history of the project and what to expect from Eclipse Photon next. Similarly, I’ll attend a talk from IBM on the way forward with Java 11 and beyond. 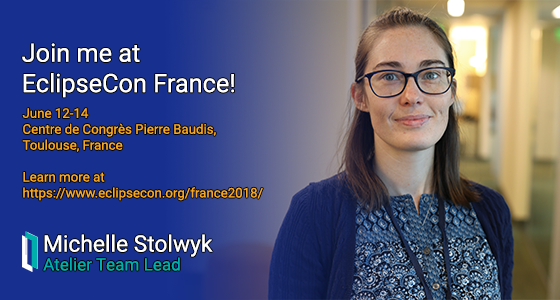 You can find the full schedule and other conference details at https://www.eclipsecon.org/france2018/. Look out for a post next week where I will share my key take aways for the InterSystems developer community. You can also follow me on LinkedIn to get real-time updates of my impressions. Happy coding, and I hope to meet you in France!